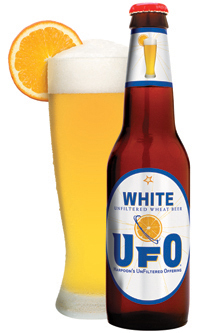 Light, crisp, refreshing and brewed with orange peel and coriander, UFO White follows in the tradition of spiced white beers that have been brewed in Belgium for well over 100 years. Cool down at a beachside bonanza with this brew. Serve with a slice of orange and enjoy!